Like many things, good posture is best learned early. The way a child sits in their early life has a huge impact on how their posture will develop. Seeing as kids spend many an hour sitting in classrooms, school is the perfect place to plant the seeds for a healthy posture later in life. This isn’t something that’s easily written into a lesson plan, however. 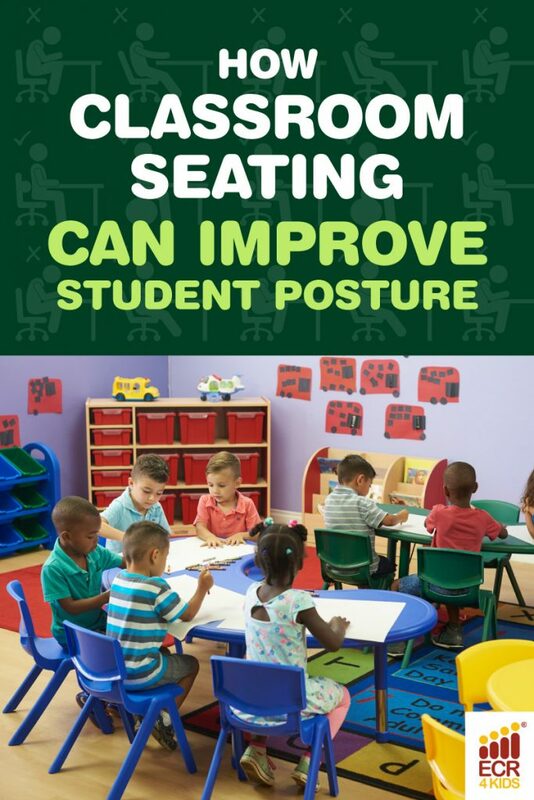 In fact, ergonomic classroom seating is actually one the biggest factors in improving student posture! So what’s the big deal about posture? Slouching doesn’t seem like the worst habit a kid could pick up. Believe it or not, learning good posture early on is a key to having an active and comfortable life. Muscles strengthen where they’re used, and weaken where they’re not. Poor posture leads to weaker core muscles and potential lumbar issues later in life. Not only that, but there’s research that indicates proper posture has a positive impact on the learning process! These are all easy enough as ideas. In practice, however, it can be difficult for students to maintain these habits through one class period, let alone a day or entire school year. After all, as basic as it may seem, sitting is complicated. Instead of trying to teach your students these habits with words, what about letting ergonomic classroom furniture be the instructor? Traditional chairs leave room for good posture, but they don’t actively promote it. It’s all too easy for kids (and adults!) to slant, lean and slouch in ways that are deleterious. Many “ergonomic” chairs support the lumbar, or lower back. The problem with this is that supporting the lumbar takes the load off of muscles that should be working, weakening them over time. There are many ergonomic chairs on the market, but for the most part they only support the back. At ECR4Kids, we understand that “support” alone isn’t enough. Our ergonomic seating products, the ACE Stool and upcoming Contour Chair, are designed to engage muscles, not just prop them up. The ACE (Active Core Engagement) Stool is built around supporting good posture habits. It encourages proper posture while strengthening core muscles. Kids and adults can rock 360 degrees to work out those wiggles with this innovative design. The stool has a cozy dip with a non-slip surface to prevent anyone sliding off while they’re wiggling! In the words of Dr. Steven Weiniger, a renowned posture expert, “Contour is designed to mold young bodies by training muscles to engage. The Contour’s vertical seat back stacks the torso directly over the pelvis. Plus, the unique “Torso-Lift Ridge” angles the torso up to open the chest and allow the shoulders to drop back reflexively, reducing stress on the neck. Simultaneously, the rounded seat pan cradles the pelvis backwards, opening the lumbar spine. And as if that wasn’t enough, they’re easily stackable for when you need to save space! 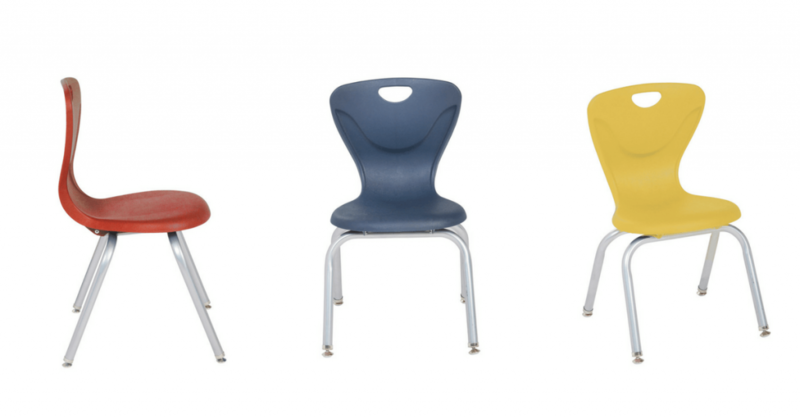 Are you equipping your classroom with furniture that keeps your students fit and healthy? We’re always striving to improve the quality of life for students, teachers and parents, one innovation at a time. Stay up with the latest on our Facebook and Pinterest!